In a hurry, so I’ll make this quick. Gary Hedges joins us to reminisce over the US cartoons that TMS/Telecom worked on. Plus, Beck episode 3 is our Weekly Retro Recap. 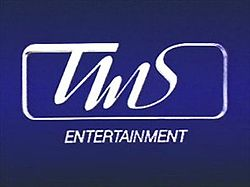 This episode is very long and yet I think we still manage to forget to say what TMS stands for – Tokyo Movie Shinsha. Enjoy.